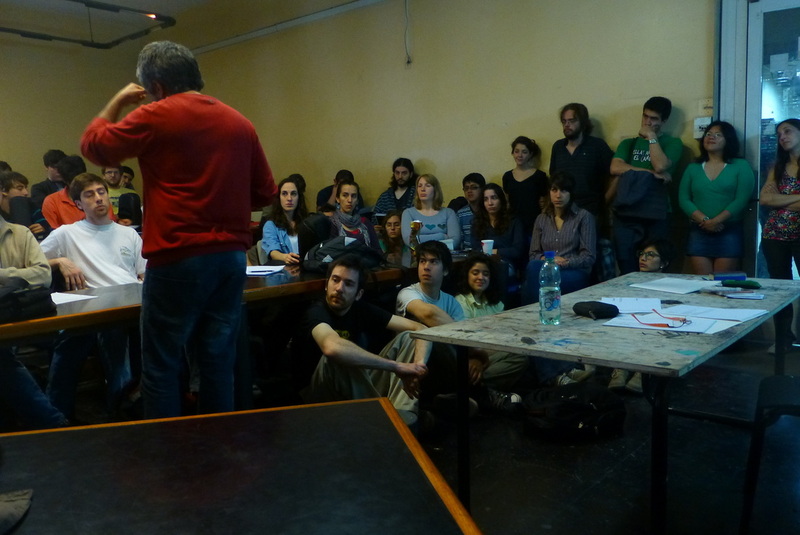 In the context of a project of academic collaboration between Universidad Nacional de La Plata (UNLP) and Universidad de la República (UdelaR), we organized in October 2013 a series of activities involving research, teaching and community outreach. Activities included research meetings, seminars, workshops, lectures and concerts at Teatro Argentino and Conservatorio Gilardo Gilardi. Three of my compositions were presented in one of the concerts. 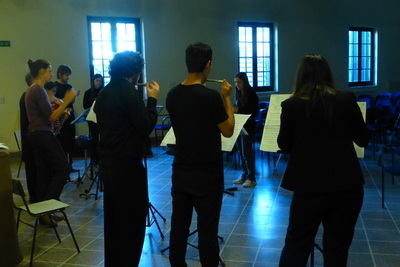 Resonancias de una música lejana, and ...yo, por ejemplo, ... both for Flute Ensemble, were performed by students of the University, Duo Mei, and guest musicians. Paula Marcus coached and conducted both pieces. 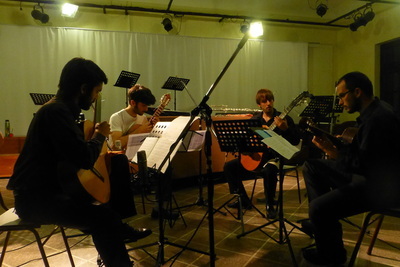 ...vale estropear la nada, for Quartet of Amplified Guitars, was performed by Juan Almada, Francisco Alonso, Braian Ayala and Juan Pastrana. The Sound Recording Studio of the Faculty of Fine Arts took care of amplifying the Guitar Quartet and recording the concert. The activities were realized by initiative of the research project “Instrumentation: Timbral Phenomena as Tools for Analysis and Composition”. We had the support of the Program Escala Docente from AUGM (Asociación de Universidades Grupo Montevideo) and the Faculty of Fine Arts of the National University of La Plata. • Director: Carlos Mastropietro • Co-Director: Gerardo Guzmán • Members: Iván Anzil | Pablo A. Díaz | Paula Marcus | Balbina Mejía Burgos | Agustín Salzano | Leandra Yulita.